1st of a mini EP coming your WAY! Here it is Beautiful People! that I’ve been sitting on! Healthy self concept and self esteem building centered around place and cultural identity in a local and global context. Participants identify personal core values, passion and “work” in the world. Highlighting the value of service, social entrepreneurship, and community engagement based on the philosophy of collective social change through individual self-transformation. Goal setting and dream mapping, creating a visual pyramid that assesses talents, passion, and accrued soft skills, while referencing our DREAM profession and lifestyle. Santos is a musician, spoken word artist, educator and social change agent. His words – whether sung, spit, or spoken – will change your world view and empower you to engage in your community in a whole new way. Santos is a change agent, connecting the power of spoken word, music, storytelling and performance for people of all ages. His work in schools and colleges ignites young people to think about their role in this world and using their voices for powerful good. He is also especially engaged in the African American community to empower and heal the youth of the next generation and to find pathways for young African Americans to join the world table and define themselves in a positive local and global context. His presentations and workshops will propel attendees to explore and discover their paths – not only in their community, but in this world – and he will do it with heart, soul, and inevitably a dash of spoken word and song, as his guitar follows him everywhere! 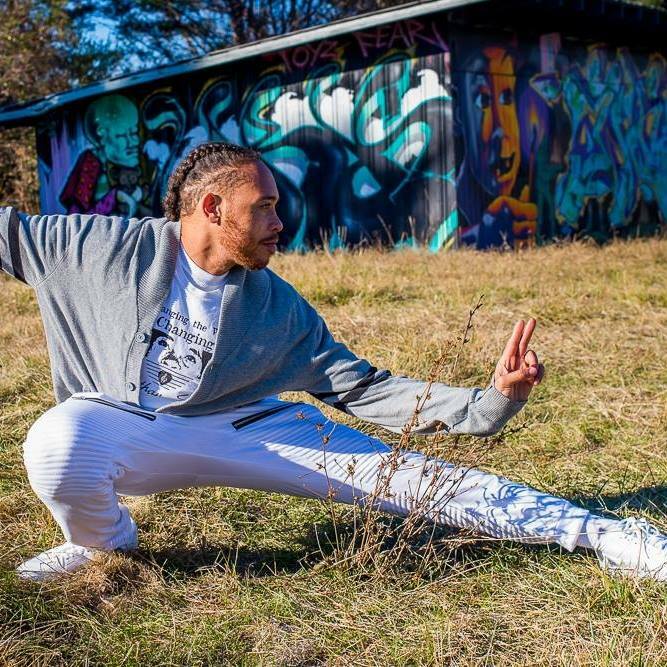 Santos is greatly influenced by Tai-Chi , is a Sifu instructor and earned a BA in Political Science.